Suboneyo is the leading Largest Manufacturer in India for Peptones (Protein Hydrolysates) range of products deriving from Soybean, Milk Protein Casein, Corn etc. These are processed by using hi-tech facilities are available in various types. Proteins are the basic building blocks of living cells. Proteins are formed by the sequence of amino acids. The amino acids are organic substances consisting of an asymmetric carbon to which are bounded an amino group (-NH2), a carboxylic group (-COOH) two characteristics radicals of each amino acid (R R"). Kosher Pea peptone Non GMO. SUBONEYO is the one of the prominent manufacturers and exporters of high quality Kosher Pea Peptone. We use GMO-free ingredients in the production of Kosher Pea Peptone. Kosher Pea Peptone offered by us is a rich source of Peptides,vitamins and carbohydrates. 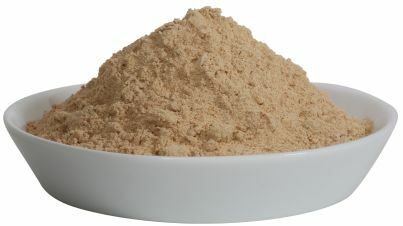 Thus, this is widely are widely used as nutrient for various Kosher applications culture media for the cultivation of a wide variety of microorganisms including bacteria and fungi. Furthermore, it is recommended for use in microbiological, tissue culture and fermentation media. Price : Rs. 100/ kg.